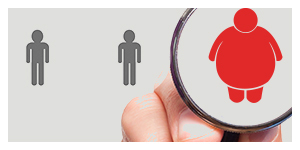 Dr Todkar aims to work towards creating enhanced awareness about obesity and diabetes. Dr Jayashree Todkar, the first lady bariatric surgeon from Asia has been appointed the Secretary of ‘Obesity Surgery Society of India’ (OSSI) for next three years. A new research claims that health awareness campaigns fail to help obese people cut down flab as most people make their eating choices based on taste. The research says that people will switch to healthier alternatives only if they are provided food options that are healthy as well as tasty. Health of most adults who are considered ‘healthy obese’ declines overtime, claims a new study. According to a study ‘healthy’ obesity is a misleading concept and health obesity is defined as obesity with no metabolic risk factors. TOI: Finance and Defense Minister Arun Jaitley undergoes gastric bypass surgery for diabetes management at a private hospital in New Delhi. NEW DELHI: Finance and defence minister Arun Jaitley on Tuesday underwent gastric bypass surgery for diabetes management at a private hospital here. PUNE: A bariatric surgery is no longer considered a cosmetic weight loss procedure but a life-saving intervention for morbidly obese patients battling with medical conditions either caused by or related to obesity. Keeping in mind the interest of patients who undergo bariatric surgery in India, Postgraduate Committee of Medical Council of India at its meeting held on July 25, 2014 has declared bariatric surgery as a non-cosmetic surgery, under surgical gastroenterology. The city is all set to become the international training hub for doctors from all over the world who want to specialize in weight loss or bariatric surgeries. Ahmedabad-based Asian Bariatrics has signed a Memorandum of Understanding (MoU) with Asculap Academy of Germany for training surgeons in weight loss surgery. A team of doctors at the Care Institute of Medical Services (CIMS) performed a high-risk bariatric surgery, believed to be the first of its kind in India.